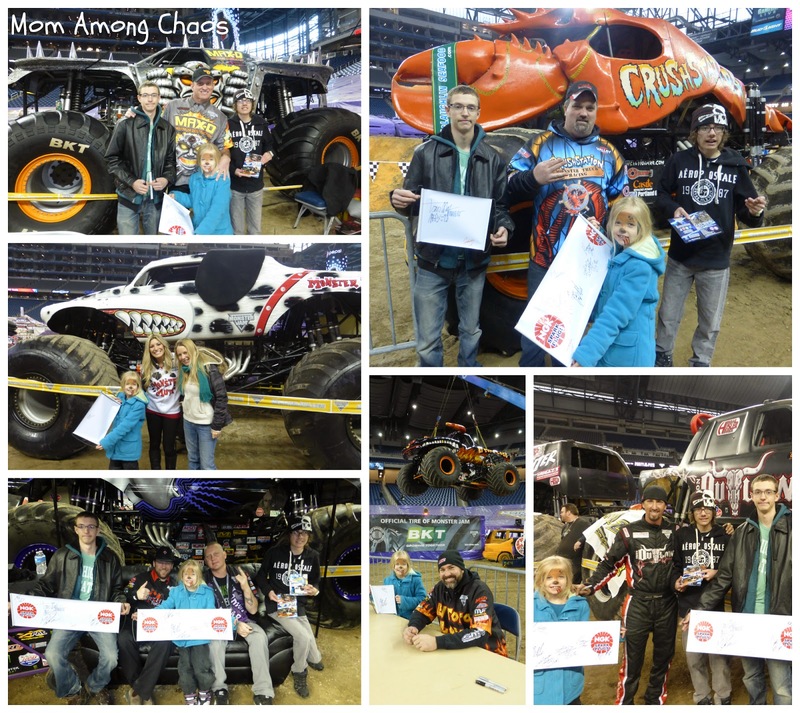 Monster Jam® is the most exciting form of family motorsports entertainment on the planet. The stars of the show are the biggest performers on four wheels: the Monster Jam trucks! The twelve-feet-tall, ten-thousand-pound machines will bring you to your feet, racing and ripping up a custom-designed track full of obstacles to soar over - OR smash through. The 2015 touring season brings more Monster Jam excitement providing entertainment tailored perfectly for your family's budget, and these colorful, larger-than-life beasts are sure to capture the hearts of both young and old. My teen son is a big fan of Monster Jam. He has been every year for the last 5 years or so. In January he took his dvd and collectible vehicle to the pit party to be signed by some of his favorite drivers. We had a fun time meeting, taking photos, and talking with many guys, and even a couple female drivers. Disclosure: I was given tickets to facilitate this review & giveaway. No other compensation was given. All opinions are 100% my own. Full Policy Here. Valid on $35, $25 and $20 seats! Valid online only. Up to 8 tickets per order. Not valid on day of show. All tickets $2 more day of show. Additional fees may apply. Pit Passes are available for $10 at the Ford Field box office, online at WWW.FORDFIELD.COM or Charge by Phone at 877-212-8898. Same day event ticket along with Pit Pass required for entry. Early arrival is strongly encouraged! Please allow extra time for traffic, parking, inclement weather, ticket will call pick-up, and gate entry. Click here to purchase an advance parking pass for $15. Click here for directions and a map. Gates for the Pit Party open at 2pm and Gates for the show open at 5pm. If you would like to read and see photos from some of my previous Monster Jam posts click HERE. Enter to win a family 4 pack of tickets in the form below. Local Michigan residents only. Ends 2/19/15. 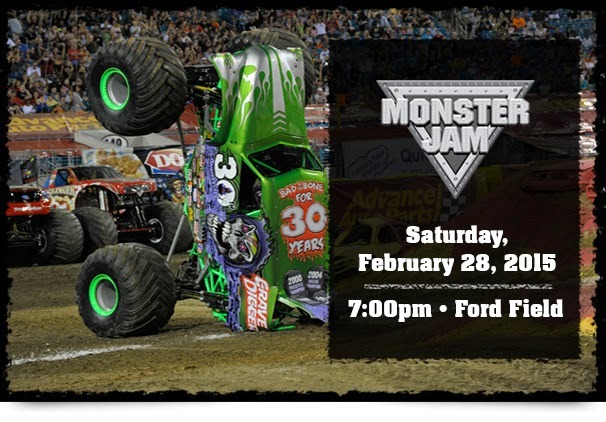 What is your or your child's favorite Monster Jam truck or driver?